The season change from end of summer to fall has my skin screaming in protest. My face is dry, flaky, red and blotchy. I have no idea why it’s so angry but it’s slowly driving me crazy. Not to mention it’s getting so dry it cracks and is painful. 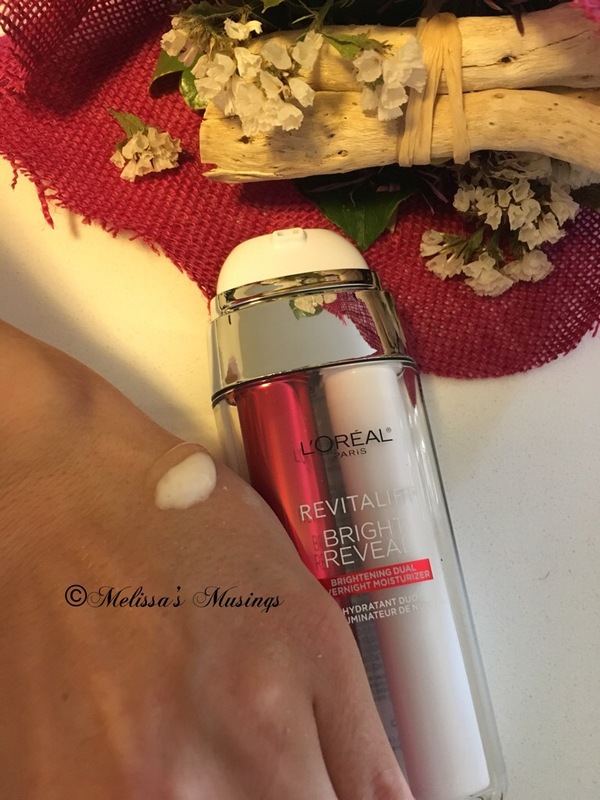 L’Oreal’s Revitalift Bright Reveal product line is designed to make your skin brighter smoother and more even in a week through its dermatologist-inspired skincare powered by Glycolic, Vitamin Cg, and Pro-Retinol. So of course when there was a chance for me to try out the Brightening Scrub Cleanser, Brightening Peel Pads, Brightening Day Lotion and Brightening Dual Overnight Moisturizer I was all over it! This is an amazing scrub cleanser. Really gets my skin smooth without being too harsh. I find it gentle enough to use twice daily. One of the best cleansers that I have tried to date. I had a hard time with this product. I think that my skin is too sensitive as I found it harsh and irritating. 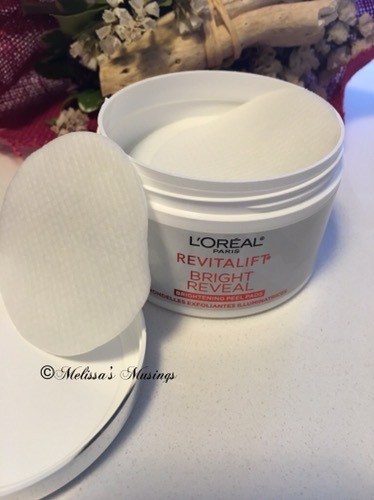 If you have sensitive skin I think I would pass on the pads. Those who are able to use it without their skin protest have said that they really like it. 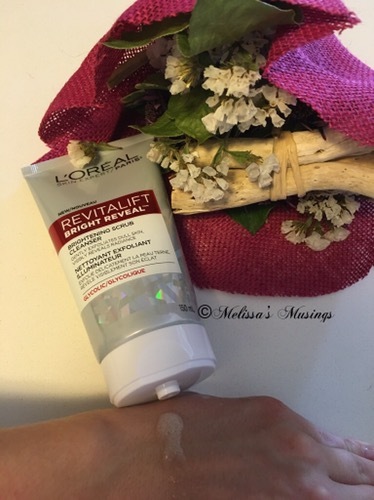 I like this for a day lotion, and am always a fan with UVA and UVB protection. My skin is really dry these days and I didn’t find this to be very hydrating for my skin. 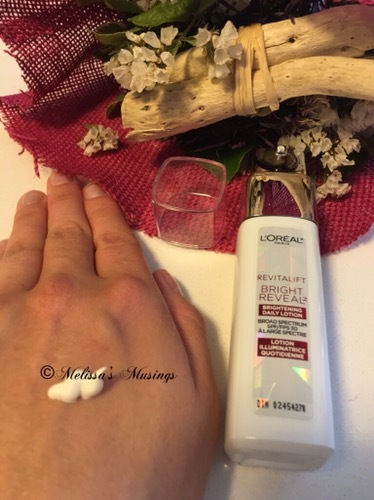 I started to use a light serum with it as well to increase the moisturizing of my skin. This one was just ok for me. I like the packaging, but overall was disappointed with the product. This works better as day lotion, because for nighttime I need more hydration. I started to use a rich night serum with it and that seemed to improve. I would have thought the lotion/gel mix would have been super hydrating so I’m bit disappointed. In summary this is a pretty good line, and if you don’t have dry skin or sensitive skin then definitely check it out! I did find with use my skin was smoother, more even and looked refreshed (my definition of brighter). I think this provides high end quality for an affordable, drug store price. 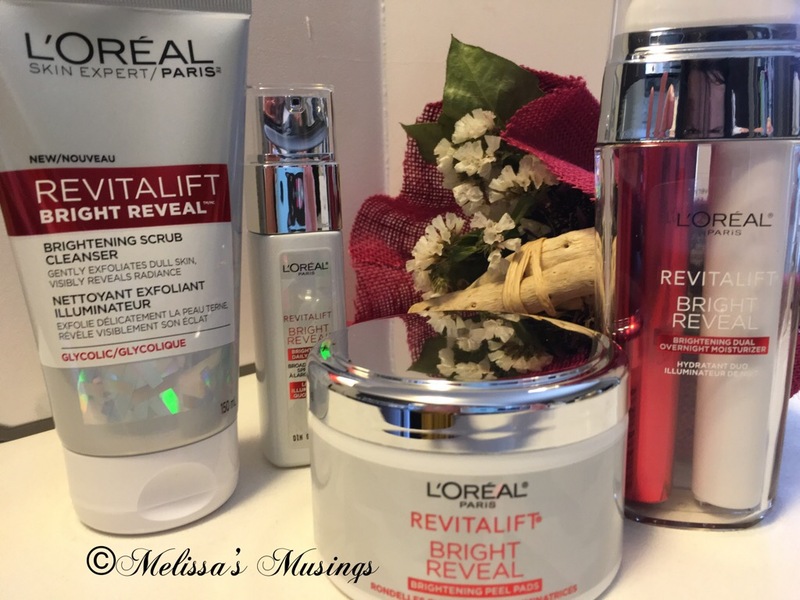 This entry was posted in Beauty and tagged brightening, cleaner, facial scrub, L'Oreal, moisturizer, peel, revitalift, skin care by maldham. Bookmark the permalink.